Wonders bring us A3082/30 COCODIA. Utterly gorgeous, these ladies pumps effortlessly combine classic elegance with a touch of glamour. The soft and smooth black patent leather upper is enhanced with gemstones across the suede toe caps. Wonders have added subtle bow detailing on the toes and an elasticated topline for additional security on the feet. 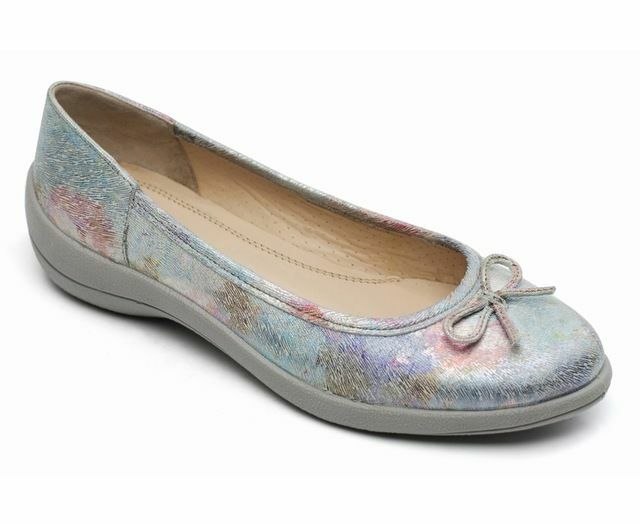 The soft leather lining adds to the sheer comfort of these ladies flats while the concealed heel offers fractional lift while remaining wearable. Paired with jeans for drinks with the girls or a smart suit for the office, these pumps will do it all and are also available in navy. Buy your Wonders ladies pumps from Begg Shoes and Bags, an official Wonders outlet.